Welcome to the new Mooji.org website! This website has been created for you. 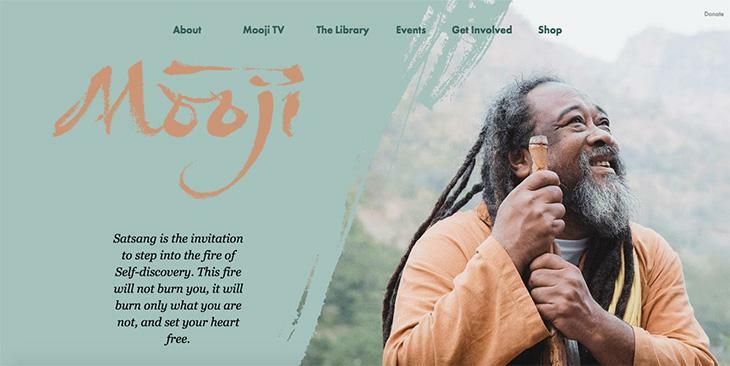 We deeply appreciate that for many of you, this site is the main way of connecting with Mooji’s latest Satsangs, events and news, as well as being a gateway to accessing the many heartfelt offerings such as daily quotes, books, music and photos with Moojibaba. May the content here continue to serve the complete discovery of the true Self. Rather than tell you about what has changed and improved, we hope you enjoy discovering this for yourself. You can also contribute to further improvements to the site by letting us know if you find something that isn't working or doesn't seem right by emailing Webmaster.